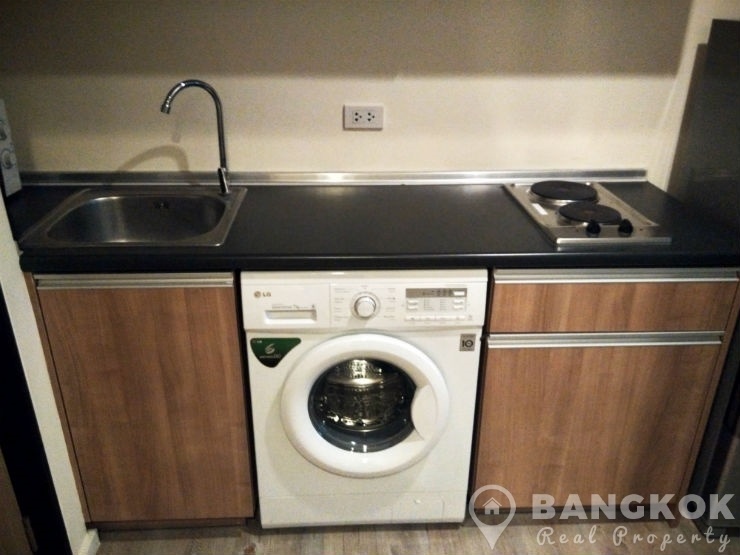 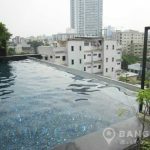 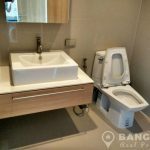 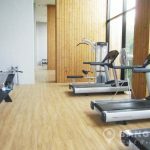 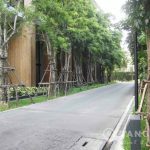 A modern, studio condo is now available to rent at award winning Issara Ladprao superbly situated on Lat Phrao road and 8 minutes walk from MRT Lat Phrao. 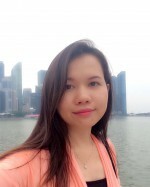 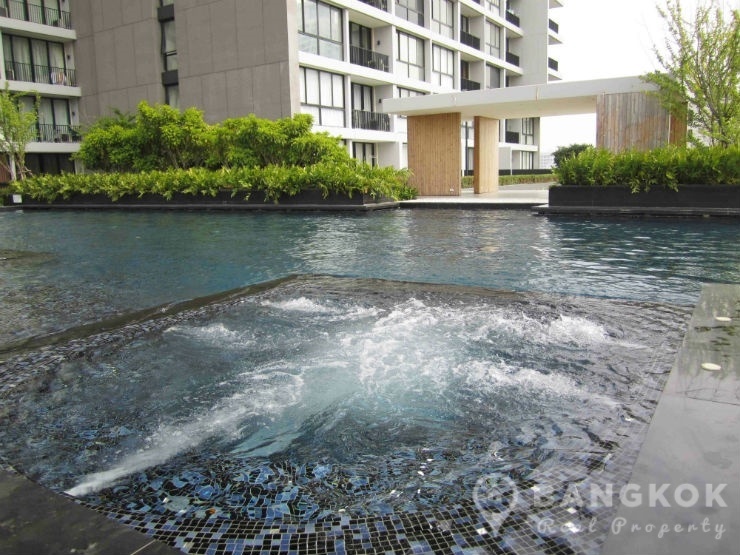 This prestigious high rise development by Charn Issara, built in 2010 is one of the best quality condominiums in North Bangkok and offers residents access to great local amenities including Central Lat Phrao, Union Mall, Tops Market, Saint John’s University, several top international schools, Paolo Siam Hospital and Chatuchak Park. 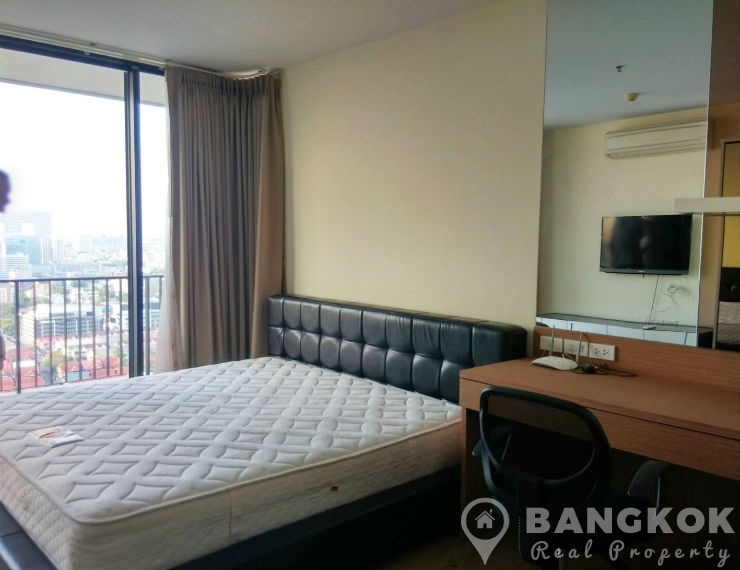 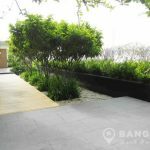 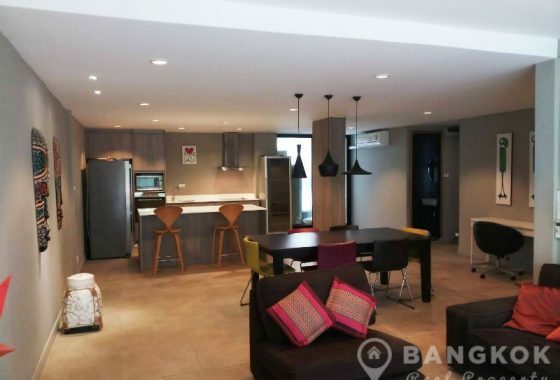 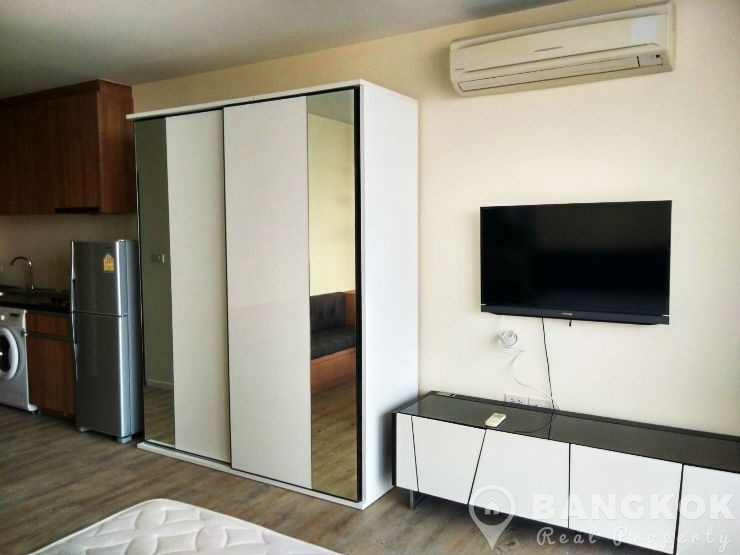 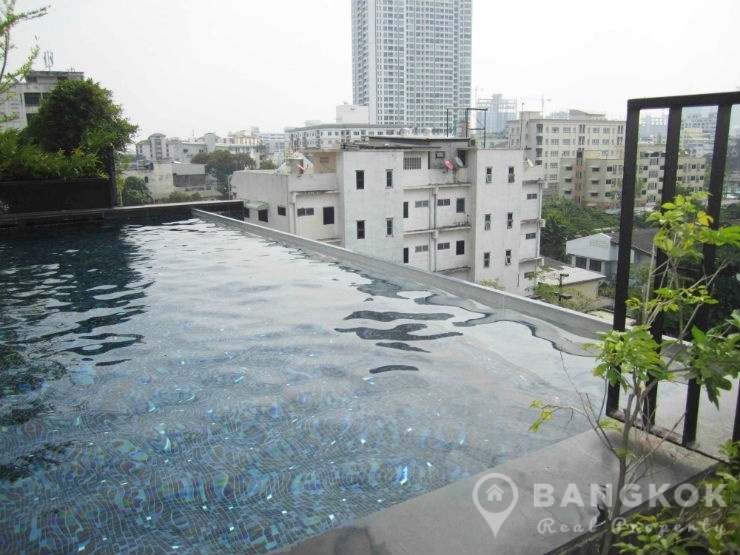 Situated on a high floor of Issara Ladprao this bright studio condo has 34 sq.m of living space with a large balcony with stunning views over Bangkok. 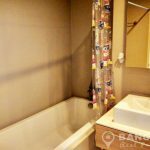 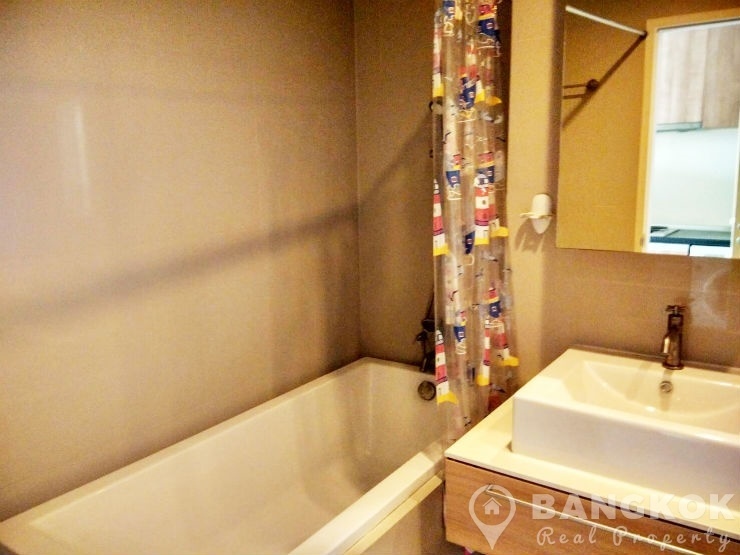 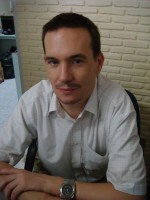 The studio has a an airy open plan livingroom – kitchen and a modern bathroom with bathtub and shower. 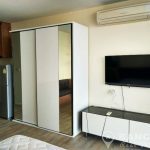 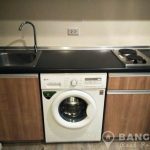 The condo comes fully furnished with double bed, sofa (sofa bed), work desk, LCD TV and fitted kitchen with modern units, electric hob and extractor fan, fridge freezer, microwave and washing machine. 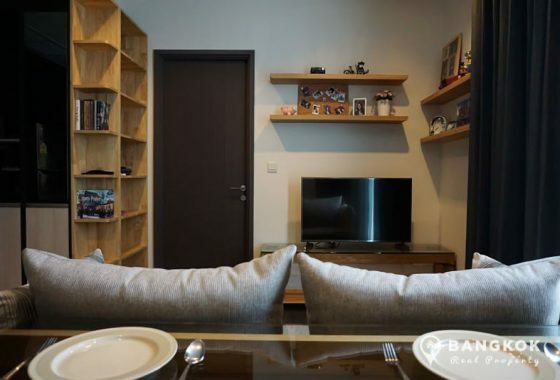 The studio has good storage. 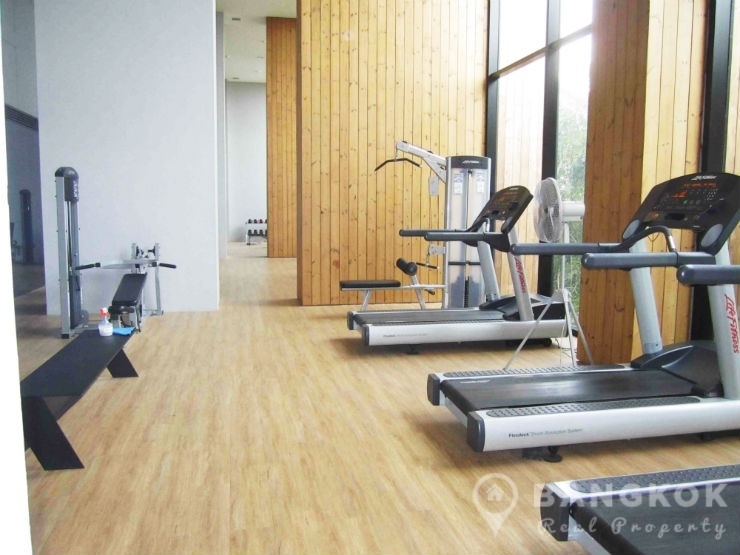 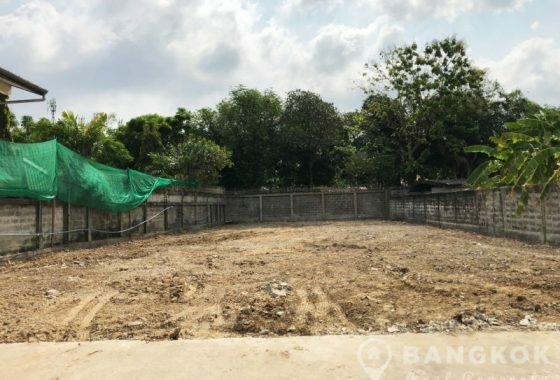 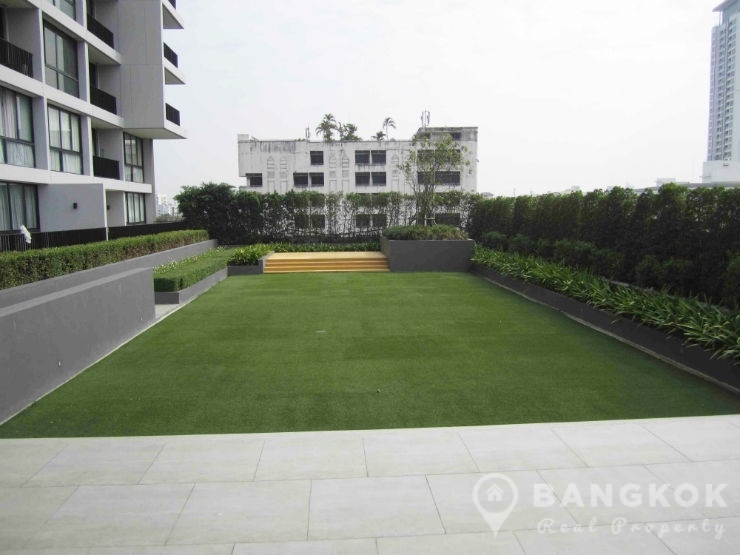 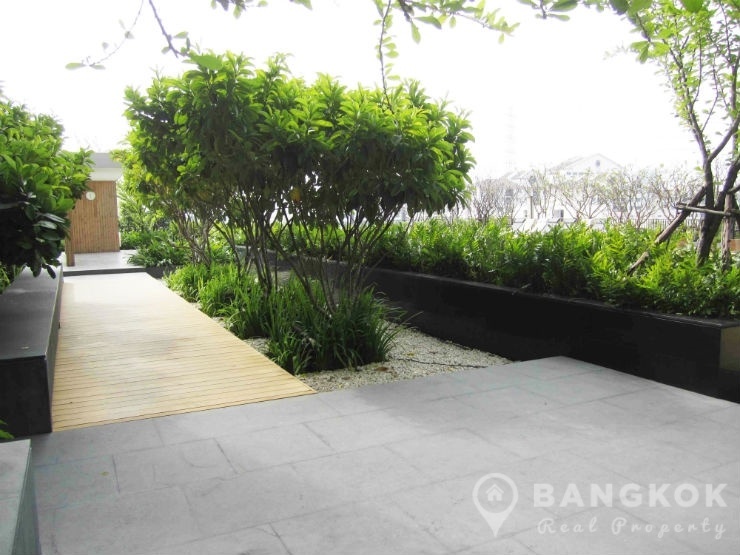 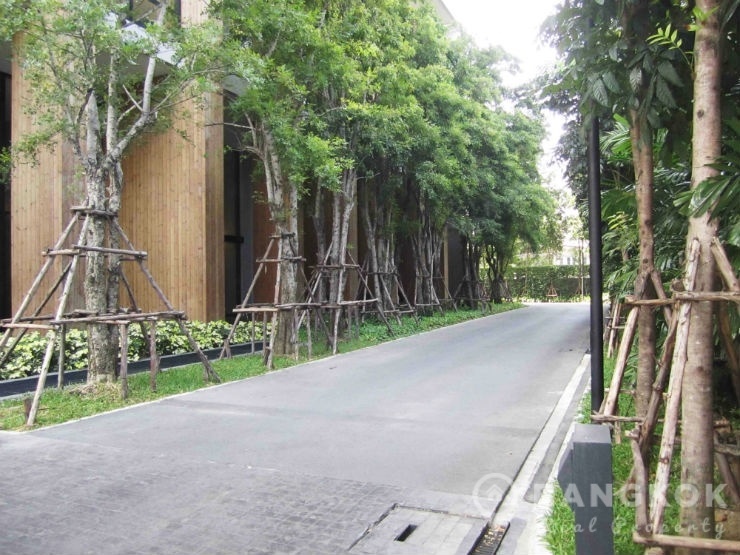 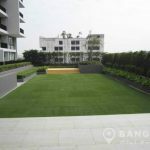 The Issara Ladprao is a condominium project, located on Lat Phrao Road just 8 minutes walk from Lad Phrao MRT station. 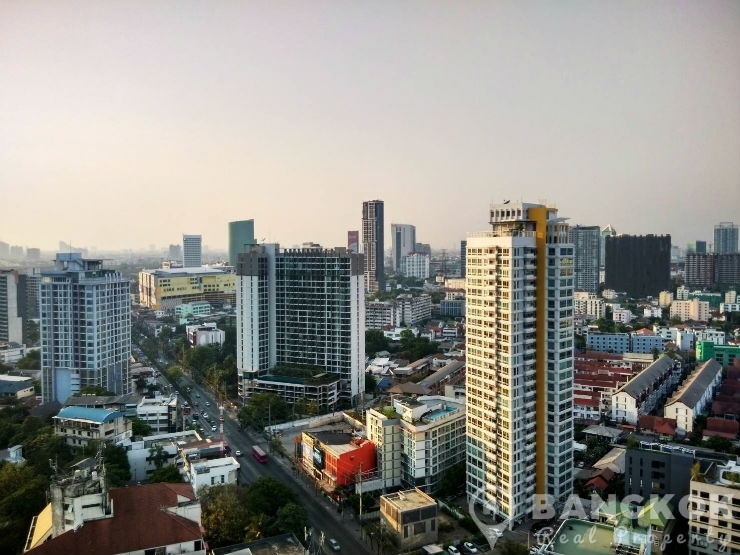 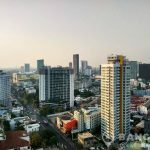 The Issara Ladprao developed by Charn Issara, was completed in 2010 and this high rise project comprises of a single building with 47 floors with 561 units, a mix of studio, 1, 2 and 3 bedroom units.